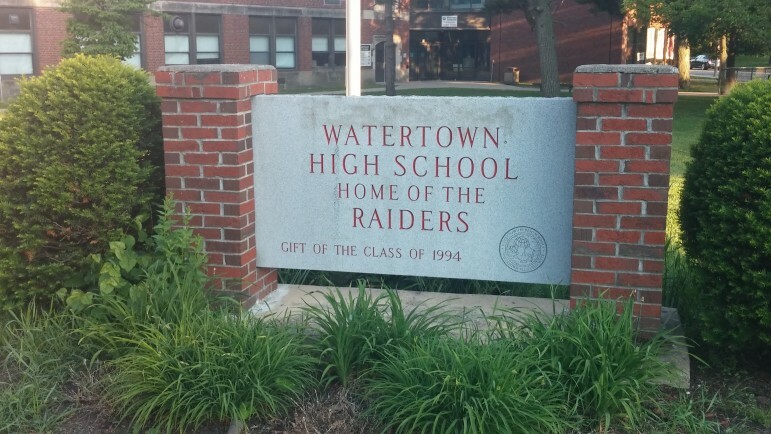 A requirement by the state that Massachusetts students must take a physical education class each year of high school has complicated schedules, especially for seniors, but Waterotwn school officials are introduced new alternatives to help the situation. On Monday, Joe Lampman, the district’s Coordinator of Health, Physical Education and Wellness, and WHS Principal Shirley Lundberg presented a new alternative to the School Committee that could allow students to take an alternative class, while still fulling the PE requirement. They also presented new classes that include wellness as well as physical education as part of the change to the WHS Program of Studies. When the requirement that students must have at least a semester of physical education each year of high school started five years ago it was not popular, Lampman recalled. Beside adding a new requirement, the semester-long class also put a crimp in many student’s schedule for the whole year, Lampman said. “They said they could be taking a year-long AP class instead (of PE),” Lampman said. Currently, students take freshman PE and freshman health during ninth grade. In 10th through 12th grade, they must take one of the following each year: reach out PE, Project Adventure, PE 10-12 or senior PE. The new proposal would include three required courses that must be taken sometime during student’s career at WHS: personal fitness and wellness, Project Adventure, and Health and Wellness. In addition, they must take one of the following classes: reach out physical education, individual & lifetime activities, or net/wall & team sports. Complicating the situation is that the district and state requirements differ. To meet the district’s requirements students will still have to take four PE classes, Lampman said, but they can open up their schedule as a senior by taking two in a previous year. The state requirement of having a PE class each year, however, still remains. To deal with this, a new alternative is being offered for students to use an activity outside of the school day during senior year to count toward the state requirement. A number of districts currently allow athletes to forego the PE requirement, Lampman said, including Belmont and Billerica. School Committee member Eileen Hsu-Balzer said one of the keys will be to make sure that the alternative classes are well documented by students. School Committee Chairman John Portz said he is concerned that students won’t know what the district vs. the state PE requirements are. The WHS Guidance Department will work with students, said Lampman, who added that guidance counselors want to see the change happen, too. The School Committee approved the changes to the WHS Program of Studies. See the other changes by clicking here. I WROTE pe WAS ALWAYS A REQUIREMENT TILL THE LIBERALS TOOK OVER AND THEN SO CAME OBESITY!! SO WHY WERE MY COMMENTS REMOVED?? CENSORSHIP???? Don’t recall removing any comments on those subjects. If they have profanity or target someone they won’t go up. Also, for everyone, a reminder that you get one comment per article if you don’t sign your full name.